Whitley Hall’s Main bar and two function bars regularly serve up to 220 people on a normal weekend day. Our bar staff maintain our top class service standards whilst under the pressure of serving cocktails, mocktails and every other drink a 2 AA rosette restaurant and busy function bar would expect! Full and part time positions are available and progression is always available for those who want it. Apply and see what a career in Sheffield’s number one Food and Beverage department can do for you. You must be over 18 to apply for this position. Multiple weddings and conferences, four star accommodation, private dining and an award winning restaurant – as well as many other areas – all fall under the control of our skilled management team on a day-to-day basis. Our team of six precisely manage the needs of our customers, the requests of our staff and the will of a 16th century Manor House. To be successful in this team it is recommended that you thrive off adrenaline, are excellent at dealing with customers and can delicately handle testing situations. Driving is recommended due to our location and some requirements of the job and we would prefer for you to have experience in hotel management previously. Responsible for security of the whole building, looking after customers and setting conference and function rooms overnight – this is an integral role in the Whitley family. Our night porters are trained in the skill of setting our high standard weddings and functions for the following day thus allowing the day team to look after our customers as their priority. The shifts include five – eight hour shifts from 11pm-7am on week days or 12am-8am on weekends and driving is recommended due to the timing of the shifts. At Whitley Hall we are proud to boast about our incredible customer service and high standards. All members of the food and beverage team, full and part time, are trained by our managers and supervisors to maintain our top class reputation. A kick start from a Food and Beverage job at Whitley has set many wonderful people up for a career they never even considered yet absolutely love! Full and part time positions are available and progression is always available for those who want it. Apply and see what a career in Sheffield’s number one Food and Beverage department can do for you. Apply for positions that we currently are not looking for and you will be held on file for when the positions come available and we will contact you first, before advertising. Whitley Hall’s two AA Rosettes are not maintained by just anyone you know! With Head Chef Ian Spivey at the helm Whitley’s kitchen brigade of nine is highly trained and incredibly precise at what they do. From weddings and banquets serving up to 160 people in a day to the award winning A La Carte menu provided in our 1584 restaurant, this kitchen is the heart beat of the hotel that just doesn’t let us down. If you’re currently a Commis Chef looking to take the next step on the career ladder or Chef D’Partie looking for the same and get trained by some of the top chefs in the business then this is for you. A hard worker is expected and being able to drive is recommended. This is a full time position of up to 50 hours per week. Whitley Hall’s beautiful four star AA-rated bedrooms are maintained by Debbie Jones and her meticulously trained team of 8 housekeepers. With 32 bedrooms to keep up to our impeccably high standards as well as many personal requests to implement we aren’t shy to admit that this is an incredibly hard working team. You can join our friendly team with full time and weekend only work available. Shifts are roughly from 9-3pm and you’ll need a method of travel. Any hotel reception is the hub of the building and ours is no different. Our reception team are the approachable and knowledgable first point of contact for all of the guests that visit us, whether it be for Restaurant 1584, weddings, accommodation, conferences or anything else. Friendly and warming – our receptionists are one of the reasons that many of our guests comment on the excellence of our staff team. To be a receptionist with us you need to be able to work shifts – either 7am-3pm or 3pm-11pm and you will be guaranteed between 32-40hrs per week over 5 shifts. Being able to drive is also recommended due to our location. 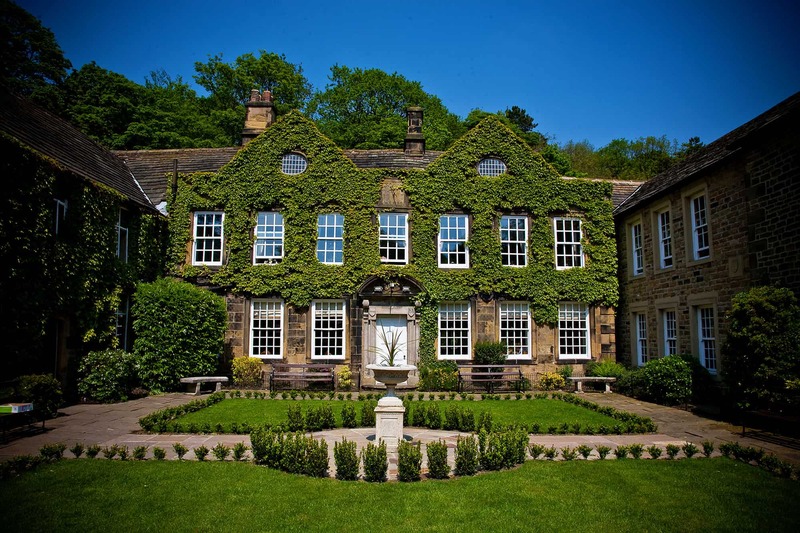 Whitley Hall’s Restaurant 1584 boasts an incredible 2 AA Rosettes and has long been viewed as the jewel in Whitley’s crown. Our supervisors are charged with overseeing a superb team of young service-extraordinaires as well as ensuring the impeccable smooth running of the food service operation and the maintaining of our high service standards. Full and part time positions are available and progression to management is always available for those who want it. Apply today! Based at the hotel this role will be working alongside our full time venue stylist Natalie to help tailor and enhance our stunning venue to exacting requirements for upcoming weddings and functions. The hours will be mostly weekend mornings and early afternoons averaging between 8-16 hours per week depending on business levels. Experience in a similar role is advantageous but not essential as full training will be given. The nature of the job requires an exceptional eye for detail, impeccable standards and organisational skills. If you have a natural flair for style and elegance then this could be the perfect job for you! Salary will be competitive but will depend on experience. Don’t be disheartened if your ideal role isn’t listed here. We regularly update this page with new vacancies but should we have not got around to it yet it’s always good to get in there first! So why not apply online using the ‘Other’ selection and get your application on file with us before we even know we need you? !